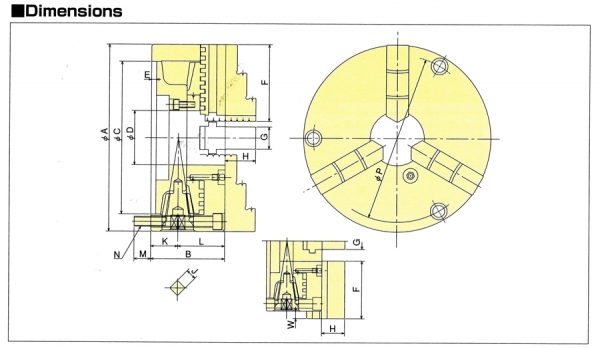 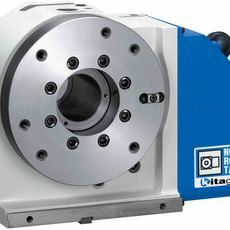 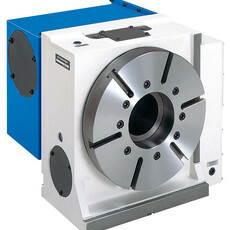 Versatile 310mm Scroll Chuck with inside and outside diameter gripping. 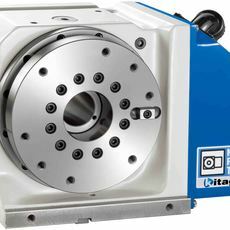 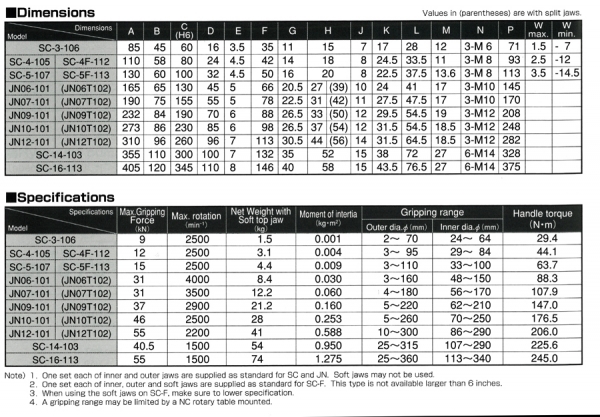 Kitagawa's high quality, steel body JN..T precision scroll chucks are supplied with both soft and hard jaws. 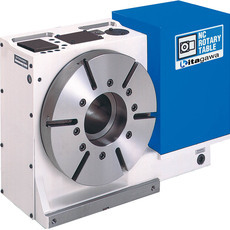 Steel body construction gives increased rigidity and improved durability, allowing for operation at high speed. 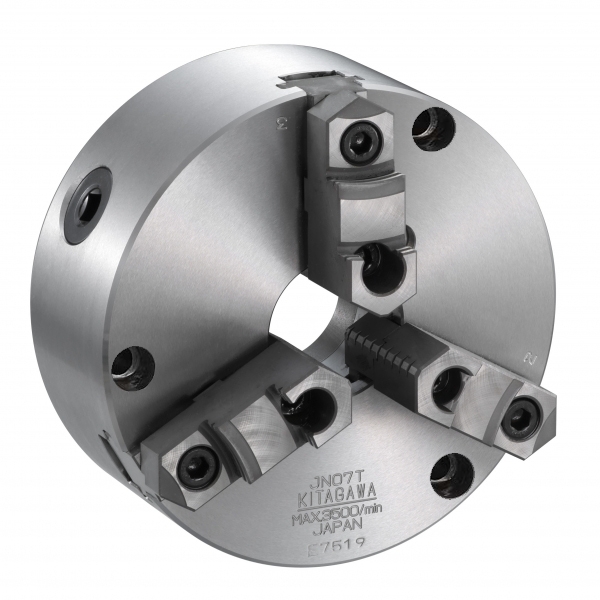 Top jaws are easily interchanged using cross tenon mounting. 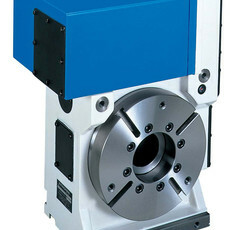 Chuck is supplied as recess mount for adaption to a wide variety of applications.